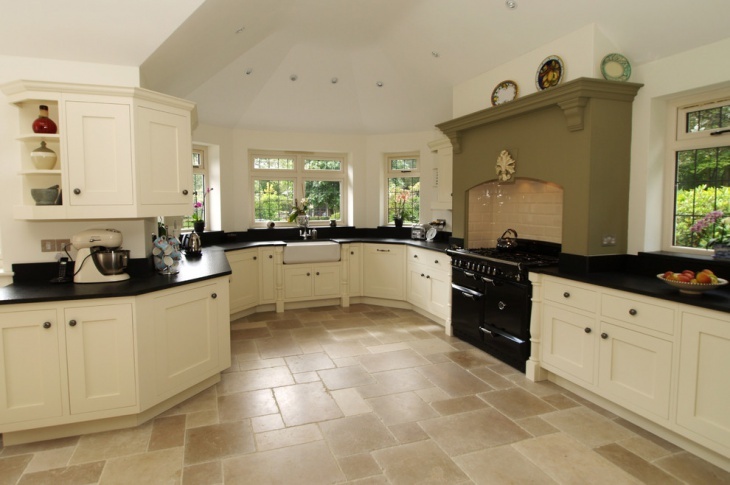 Looking for stylish interior flooring ideas? 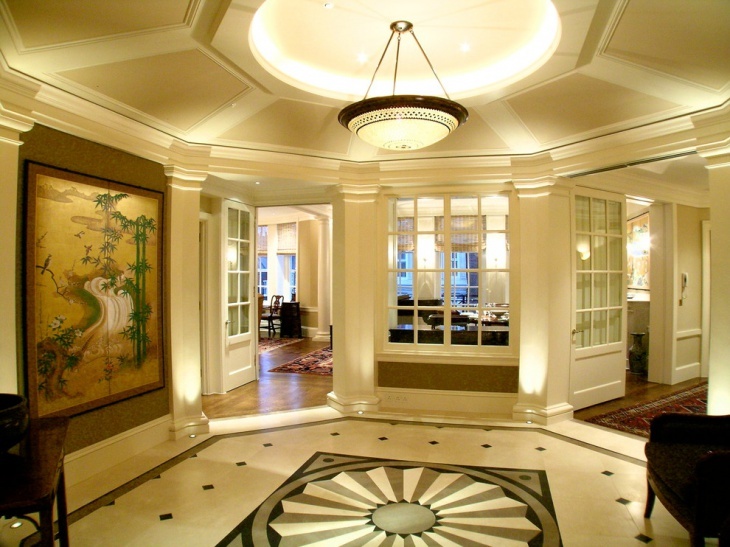 People have been using a mix of traditional and contemporary materials to create a unique setting in their homes. From wood to tiles, your options are endless. However, you should first understand the exact look you are trying to attain and the several aspects of maintenance and functionality provided by each. 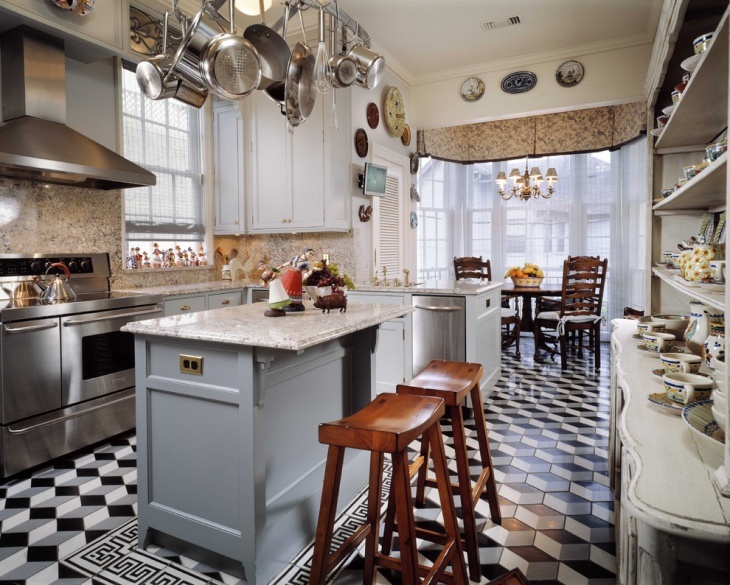 Let’s look at some amazing interior flooring done by homemakers across the globe. All of them are unique and worth a try. 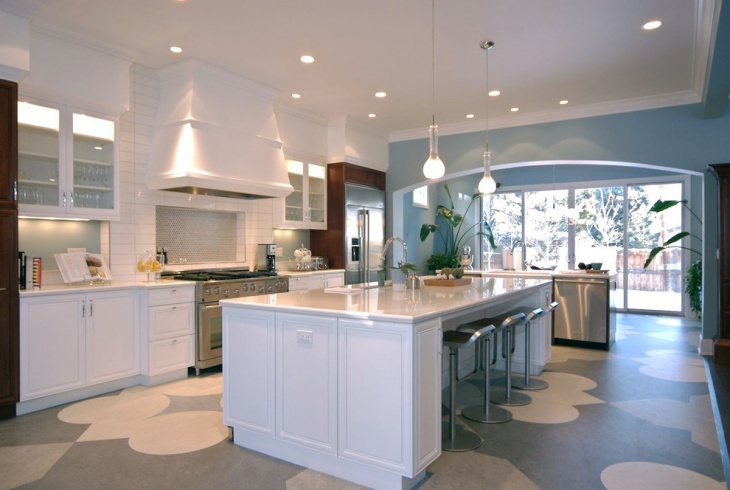 Among the simplest and cheapest material for flooring is concrete. It is the same material that makes your walls and the ceiling. 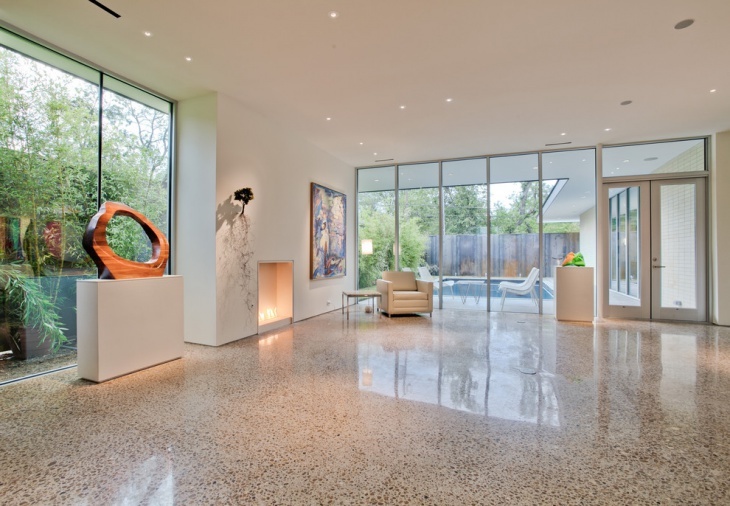 As shown in this example, concrete flooring can be beautifully inlaid with shiny polish to create a unique look. 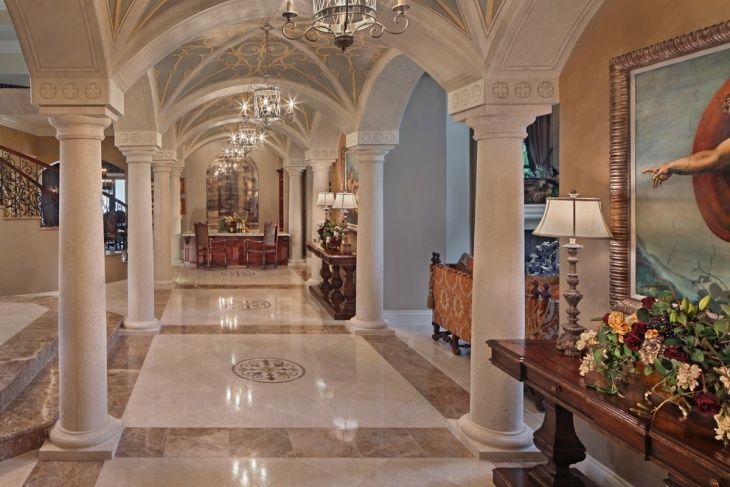 Design by : Feinmann, Inc.
As already said, concrete could be a viable material for flooring, given that your home is regularly cleaned and is crowd-free. 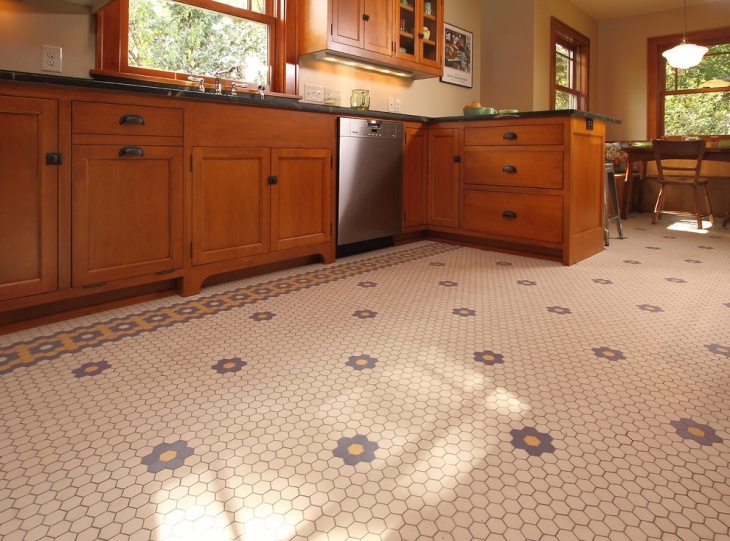 This particular flooring is perfect for farmhouses and vacation home, that don’t get a lot of traffic. 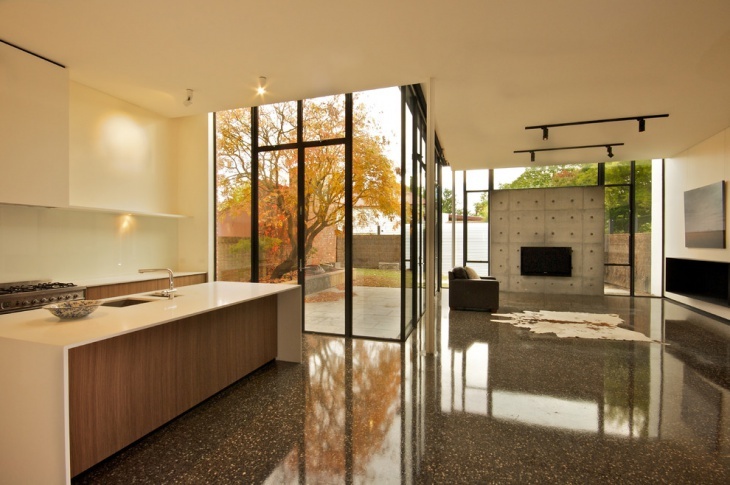 Stained concrete is an amazing way to create unique indoor flooring. As shown in this example, the stained concrete adds to the warm look of the space, perfectly matching the wooden furnishing. This option is perfect for flooring a living room or a bar. 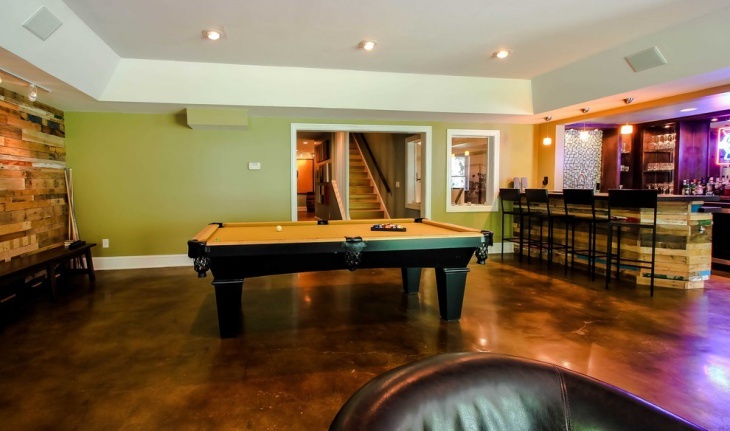 The best thing about concrete is the flexibility of adding any color of your choice. You can come up with amazing and unique flooring texture using a mix of colors. 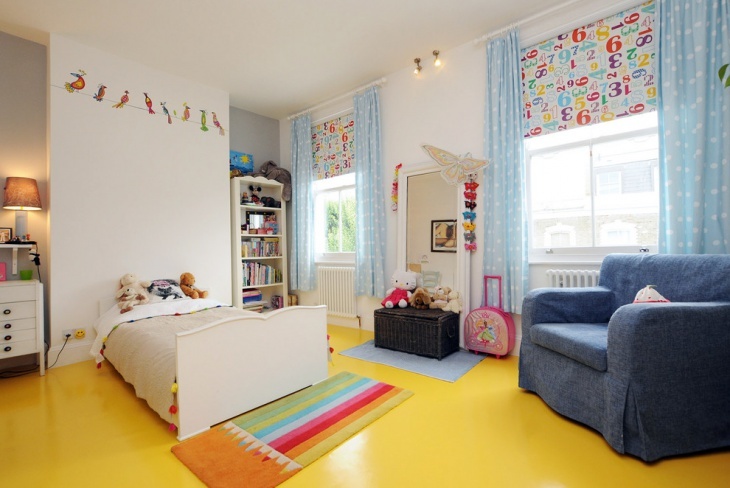 Here, the homeowner has used a solid yellow to create a bright setting for his/her kid’s room. Another incredible and unique material for flooring is wood. It looks rich, luxurious and exquisite. 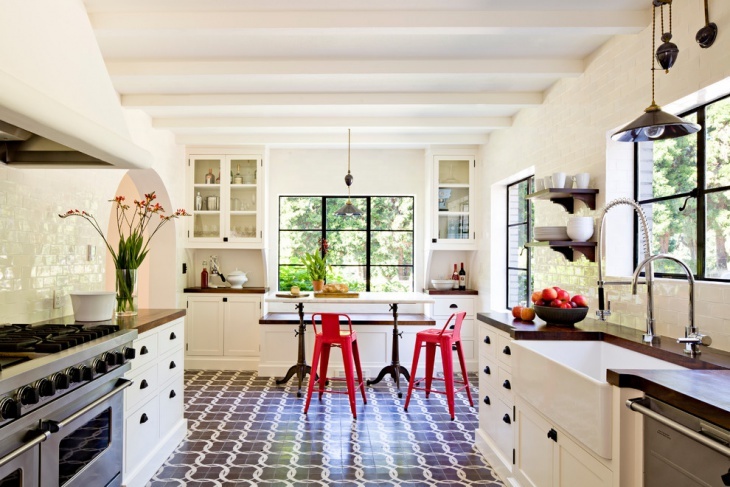 However, you can also experiment with the color of wood flooring to achieve a unique setting. Using white color, it’s an ambiance that not many hope to achieve. 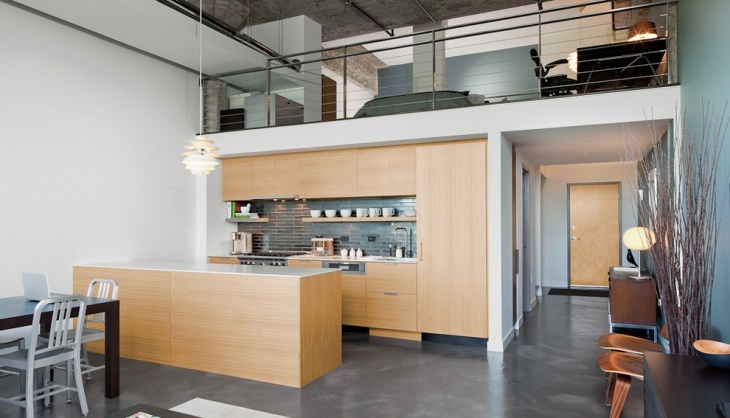 However, if you are trying to create a minimalistic yet luxurious space, this would be an idea worth trying. 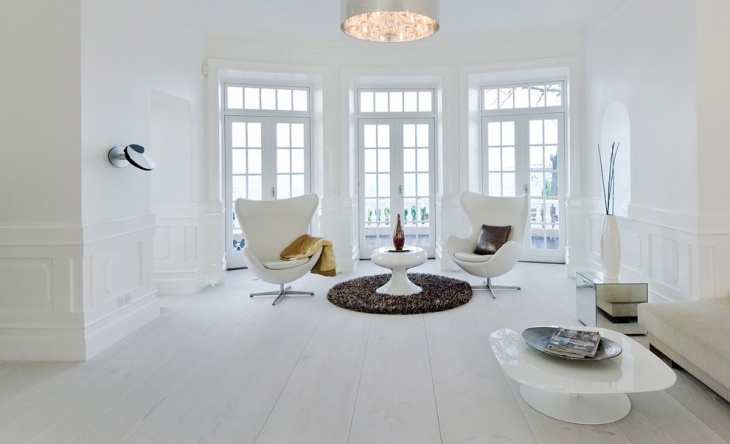 The white walls here perfectly compliment the white wood flooring. 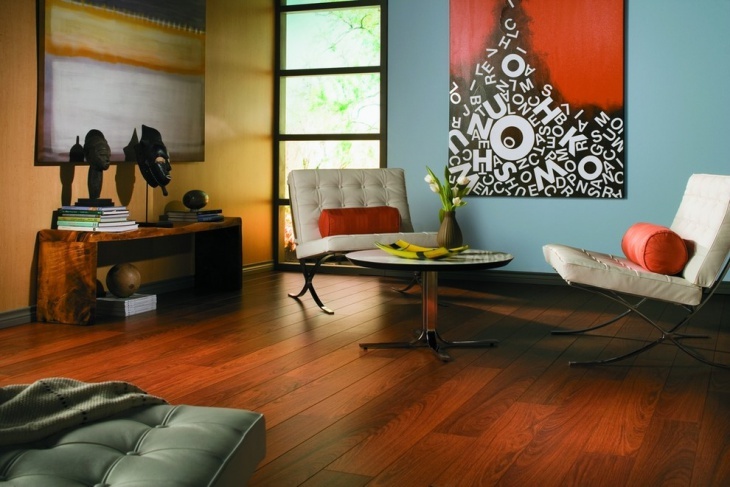 Hardwood is yet another impressive material for flooring standards. However, it is also expensive and should be complimented with protective coats and dyes. 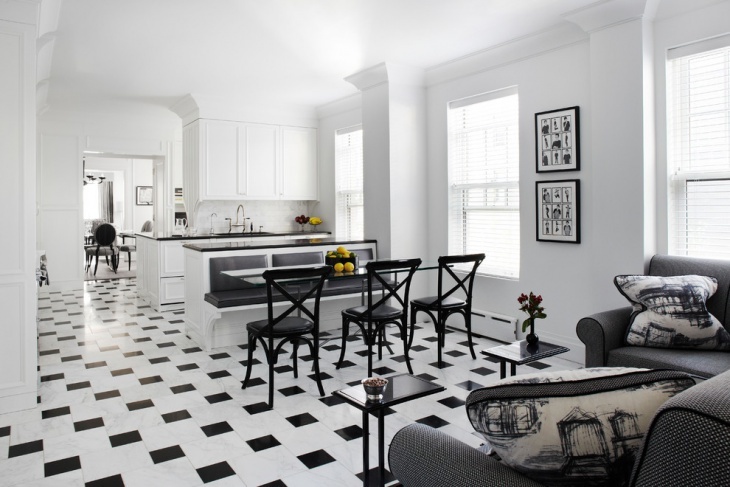 Vinyl flooring is yet another impressive option to experiment with. They create a smooth and shiny floor space but you will need to worry about the low scratch and shock resistant property of the material. 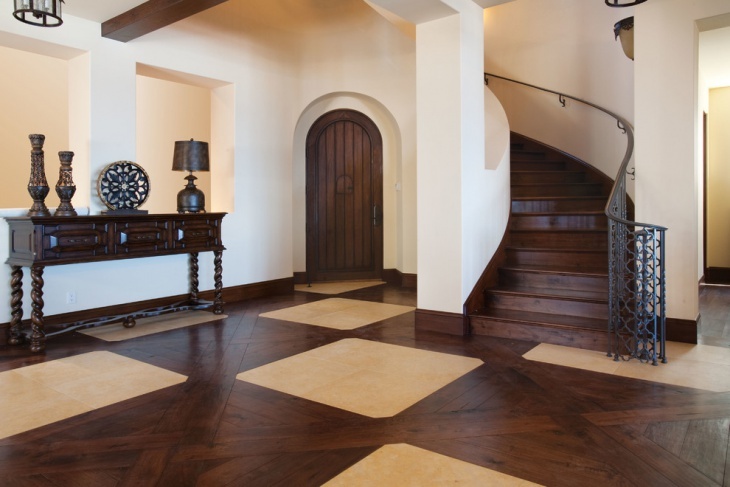 In this example, the homeowner has been able to successfully integrate a unique pattern to the flooring using different dyes of similar tones. One of the most common flooring materials seems to be laminated wood. They offer several advantages including a rich appeal, an easy to maintain surface, a longer lifetime and a safe environment if you have kids and pets around. Liked our ideas? 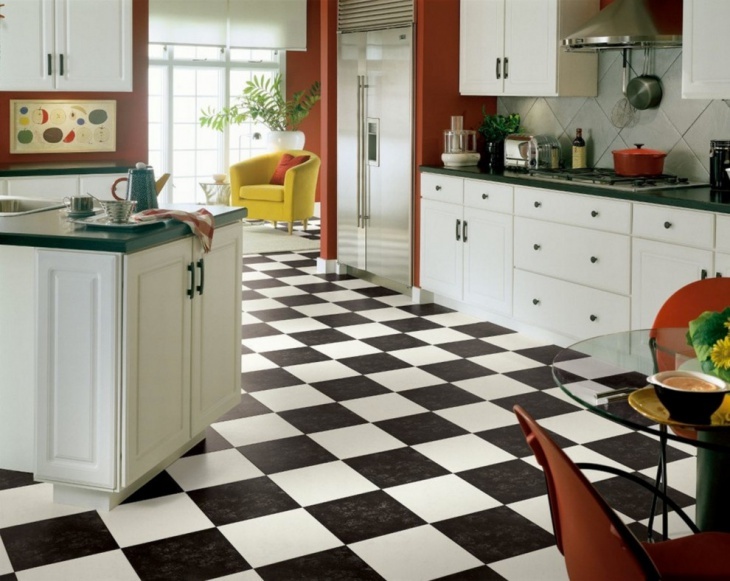 If you have done something different with your indoor flooring, do share it with us.